Short on time? CLICK HERE TO DOWNLOAD this article as a PDF. 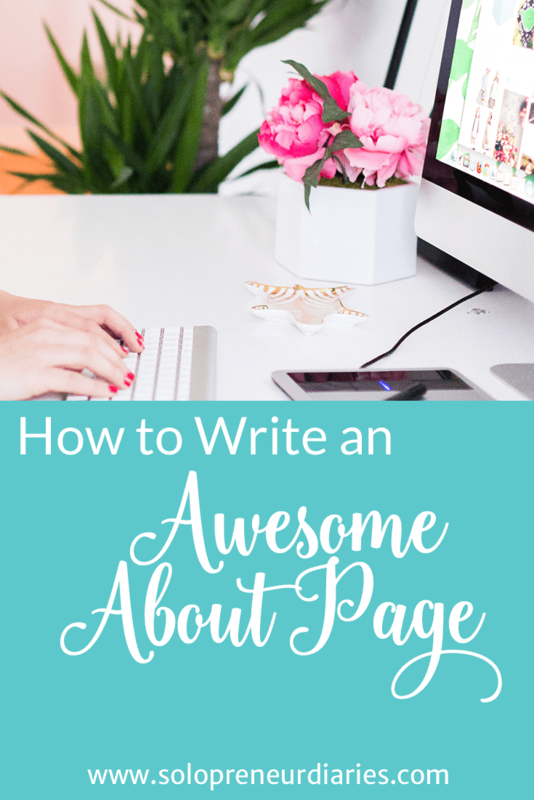 An awesome about page is an essential part of a blog. First-time visitors often check out your About page, making it one of the highest-traffic pages on your blog. They want to find out more about you, so that they can decide if they want to come back. 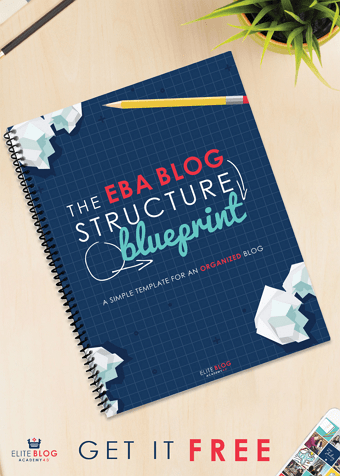 Use these tips to write an awesome About page that will turn one-time visitors into engaged, repeat readers – plus download a free workbook that will walk you through the process! First up, let’s dispel a common misconception. The About page is not really about you. It’s about the reader. Why should they read your blog? This is a good place to expand on your tag line and explain in more detail what your blog is about. What value will they get from your posts? Will they be educated, inspired, entertained? 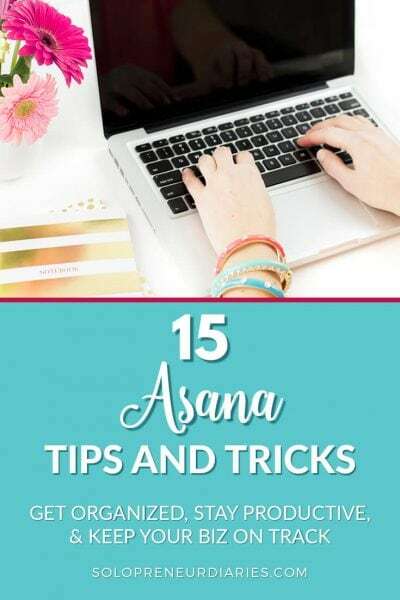 Related post: If you are haven’t started blogging yet, I created a step-by-step tutorial that will help you start a blog. You’ll be blogging in no time! We’ve established that the About page is for the reader, but it’s not for just any reader. It’s for your ideal reader. Think about who that is and write specifically to her. You want to accomplish two things. First, you want to draw in your ideal reader, so that she will stay and read more. And then come back. Second, you also want to gently make other visitors realize that they may not be in the right place. Because, if you try to write for everyone, then you end up writing for no one. The About page is the place to put your stake in the ground and declare who you are writing for. share with other single parents some sensible and natural ways to manage ADHD (Attention Deficit Hyperactivity Disorder) and SPD (Sensory Processing Disorder). Boom. She’s declared her – very specific – target audience in the second sentence. If you have a child with ADHD or SPD, I bet you are coming back to her site. 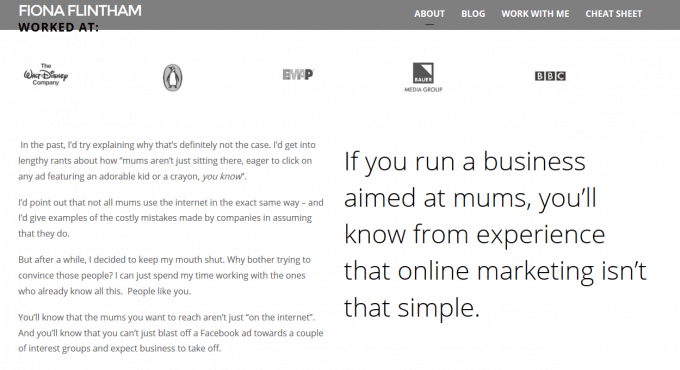 Fiona Flintham highlights her target audience in a big, bold pullquote on her about page. And, if you don’t “run a business aimed at mums,” then you know you are not in the right place. What do you bring to the table? Do you have past experience or particular expertise that will be helpful? Have you been featured on other sites? Have you written a book? Remember to focus on how this credibility will provide value to the reader. 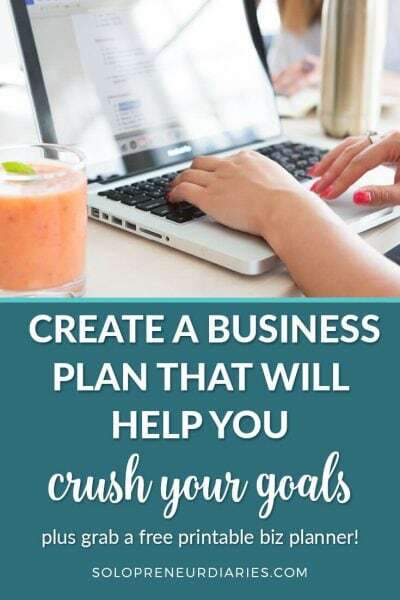 I have 11+ years launching and growing blogs, developing websites, and helping businesses, non-profits, and individuals market themselves both online and off. Plus, I’ve worked in the corporate world in demanding customer service roles. My experience has taught me one big truth: it takes hard word to get noticed (for all the right reasons on the internet, and it’s even harder to do it in a way that is strategic, professional, and outrageously attractive. 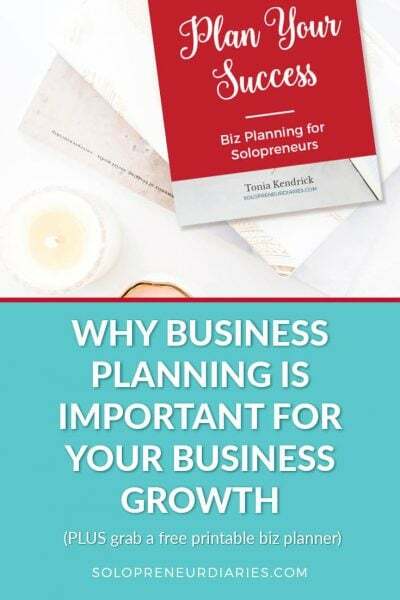 Her experience in both the online and offline world is going to help her readers and their businesses get noticed in the right way. She goes into more detail in her personal bio, further establishing her credibility in her niche. Don’t be afraid to share the real you. You are the reason that people will keep reading your blog, so show them part of your real life. Talk about how you got started and why you blog. Abby at Just a Girl and Her Blog does a great job of this on her About page. 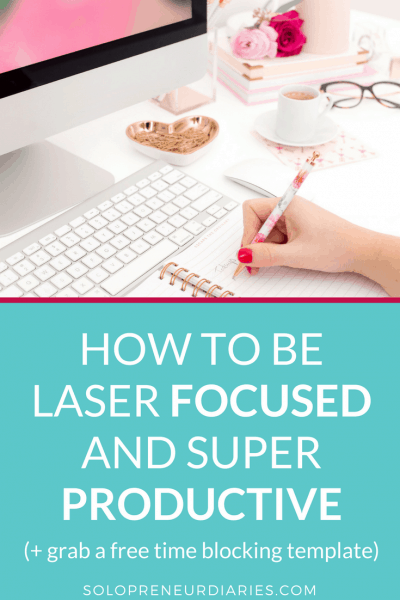 She talks about how she got started, her journey from hobby blogger to successful entrepreneur, and she shares insight into her personal life. Readers should also get a sense of your voice and style. If you write in the first person for your posts, then write in the first person for your About page. If you write in a journalistic tone, then your About page should be more objective. A photo (or a video) is also a great idea. Readers want to get to know you, and that includes knowing what you look like. I didn’t specifically include a photo on my About page, because my photo is in the sidebar. If your photo doesn’t appear somewhere on the page, such as the sidebar or header, then you should consider adding it to your About page. Your About page shouldn’t be the final destination. 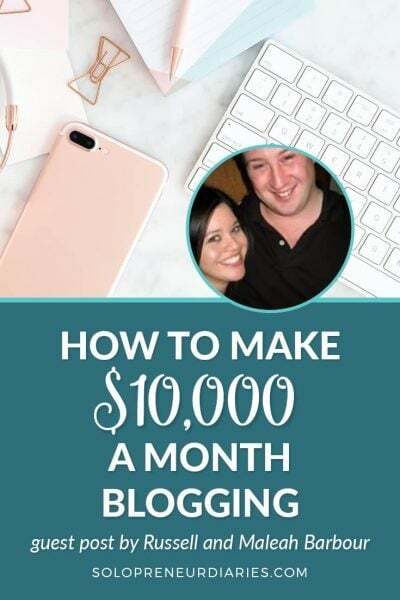 A lot of bloggers have started calling this the “Start Here” page, rather than the “About” page to drive this point home. Give your readers a clear path through your content. What should they read first? 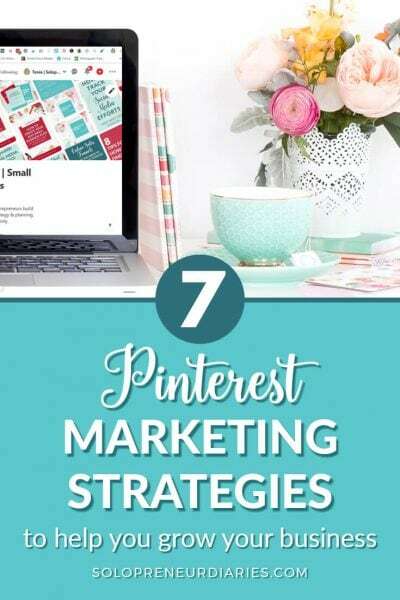 You could include a list of links to some of your best posts. Or you could weave in references to your main categories, like Amy Lynn Andrews does. What do you want visitors to do after they read your About page? Do you want them to sign up for your newsletter? Follow you on social media? Download your awesome freebie? Be sure to ask and include links or buttons to make it easy for them to act. Siobhan Sudberry at BeFree Project has a very eye-catching CTA button on her About page. It is very clear what she wants the reader to do (and the button would be hard to miss!). Because almost every new visitor will go to your About page, it easily could be one of the most-visited pages on your blog. Remember to keep it about your ideal reader and you won’t go wrong. Do you have any tips on how to write an awesome about page? Please share in the comments. P. S. Hat tip to Ashley Ella design for the FREE stock photo used in the image above. I love this! Thank you for sharing! You’re welcome, Lisa! Yep, we want those repeat visitors, don’t we? !